Italy became the main route into Europe for hundreds of thousands of asylum seekers arriving by sea since the other main route from Turkey to Greece was largely shut in 2016. While numbers have dropped over the past year, a new populist Italian government has made shutting down the route a pillar of policy. It forced the port issue on Thursday onto an informal meeting of EU defence ministers, who need Italian support for their naval mission, known as Sophia, which expires in four months and now brings all migrants it rescues to Italy. 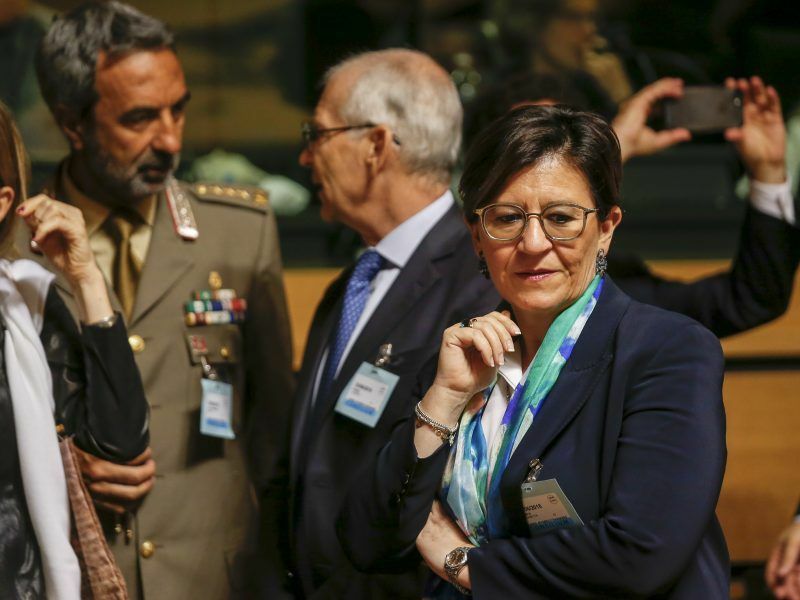 “It’s no longer possible that Italy be the only port of disembarkation and that it take in all the migrants rescued at sea,” Italian Defence Minister Elisabetta Trenta said in Vienna after the meeting with her 27 counterparts. Rome will today (30 August) ask the European Union to rotate the ports where migrants rescued at sea disembark, Defence Minister Elisabetta Trenta said, with France and Spain expected to top the list. The Italian demand follows diplomatic rows in which rescue ships were not allowed to dock in Italy unless other states agreed to take in the migrants on board. “Some (EU governments) said we should change the Sophia mission when its mandate ends…. We think it’s too long to wait and should be done immediately,” said Trenta, who said she had been in talks with France and Spain. Speaking in Venice on Thursday, Italy’s anti-immigrant Interior Minister Matteo Salvini also hinted at an end to the EU mission, saying that if EU partners do not agree to offer ports “then we’ll go it alone”. Da inizio 2017 ad oggi la Francia del “bravo Macron” ha respinto più di 48.000 immigrati alle frontiere con l’Italia, comprese donne e bambini. 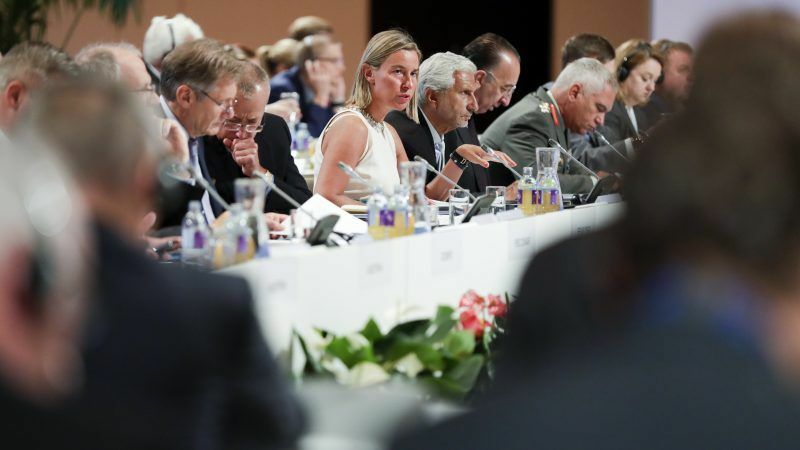 No country offered ports at the Vienna defence ministers’ meeting as an alternative to Italy for Sophia, although EU foreign policy chief Federica Mogherini said she expected talks to continue. “Today was not a matter of pledging ports,” said Mogherini, who chaired the meeting, saying there was a political will to find a solution and that other options existed, such as sending a larger number of those who arrive in Italy to other EU states. Italy’s Foreign Minister Enzo Moavero Milanesi said he would insist on the migration issue at a meeting with his counterparts, also in Vienna on Thursday, saying governments had to live up to European values on human rights and unity. “We write solidarity everywhere in Europe, we talk about it, well, (this is a) wonderful occasion to show it,” he told reporters. Austria, which is also led by a coalition that includes the anti-immigrant far right, proposed using EU member states’ militaries to back up the bloc’s border guards in barring undocumented migrants. Defence Minister Mario Kunasek outlined a plan based on Austria’s past use of soldiers at its borders. He stressed that soldiers at frontiers would be under police control. “We have got to protect our borders effectively,” Kunasek told reporters after the meeting, saying there was a “positive discussion” on the proposal. In June, Austria held a drill overseen by the far-right interior minister which enacted the arrival of hundreds of migrants and involved Black Hawk helicopters and soldiers. Germany and other countries expressed doubt about the Austrian plan. The head of Spanish charity Proactiva Open Arms said on Thursday it was becoming hard to operate a rescue mission in the Western Mediterranean since Italy and Malta closed their ports. The aid group said on Thursday it would move some resources from the Mediterranean to the Strait of Gibraltar to help the Spanish coast guard with sea rescues as Spain becomes the new main entry point for asylum seekers fleeing Africa.